There are preferred file types that we work with. 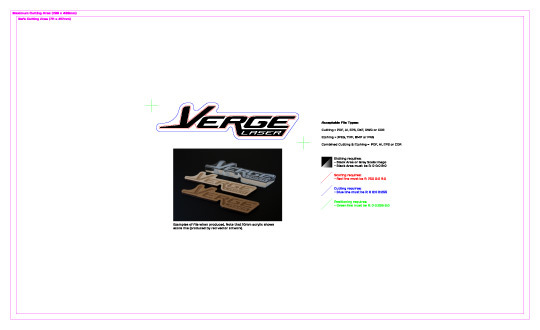 For cutting, a vector file is required which is either a PDF, AI, EPS, DXF, DWG or CDR. For etching, a raster file is required which is either a JPEG, TIFF, BMP or PNG. If your project requires a combination of cutting and etching the required file is PDF, AI, EPS or CDR. We have created an example file which will help you with setting up your file. Please download the Design Guide Example File.